One of the best farms for productivity in the area. 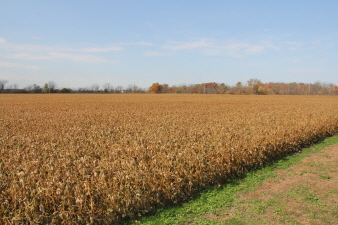 This year's crop was green peas and second crop soybeans produced in 2012 season. Leased year to year and available for the 2013 crop year. Good road access. Machinery storage shed with 2 oversized doors used for storage. Another 98 acres available within the village of Rodney.